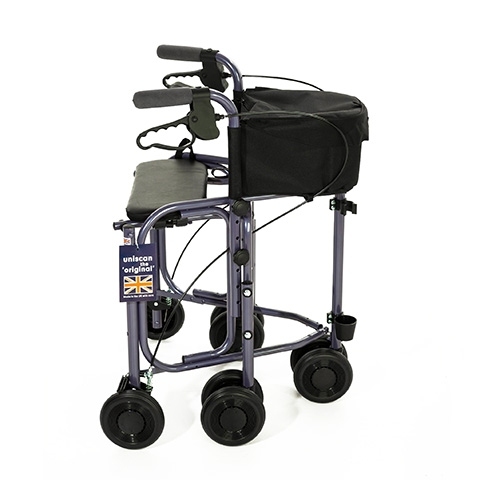 For those who like the look of a tri-walker, but need extra stability then the Triumph Plus is for you. It has all the options of the Triumph, but with the benefit of two extra legs. Features a rest seat, a caddy with cover, and a walking stick holder.